This week after dropping Lottie-daisy off to Montessori I decided that I was in need of some self Indulgence. But not just anything would hit the spot, my mé féin moment had to be chocolate + of the highest quality. 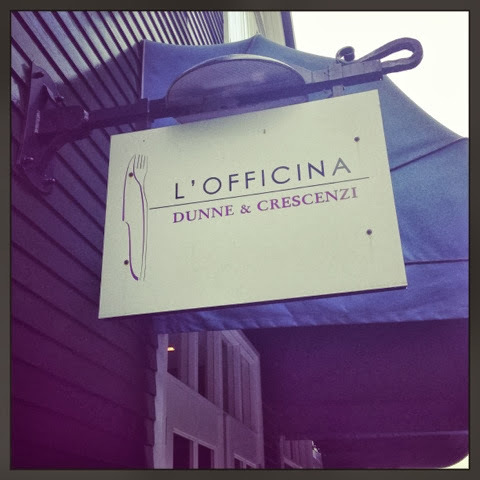 Right in the corner of the "village" by the fountain homes Dunne + Crescenzi's gorgeous Italian eatery L'officina which in Italian means workshop just incase you needed to brush up on your Italian. With their high wood clad ceilings + large chalk board menus it is quite easy to be transported to a different time + place where quality + flavor is paramount. Iv eaten here on many occasions with family or even for a quick coffee fix with my friends + I can honestly say iv been pleased with my dish every time. 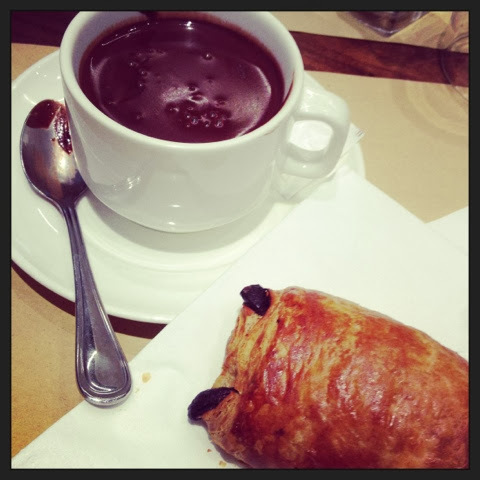 So this time round it was still early in the day + with two wee children I needed a coffee fix but when I studied the morning menu there was no way I could pass up a "dense" Italian hot chocolate + even though it was €4 for a hot chocolate I said feck it go wild.